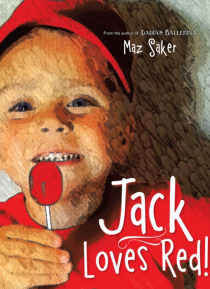 IHG® Rewards Club - eBooks - Jack Loves Red! Jack is a typical three-year-old little boy with a favourite colour. He is stubborn and sweet, funny and exasperating all at the same time. Jack will only wear red, eat from a red bowl, drink from a red cup, sit in a red chair, and sleep under red bed covers. Will he learn to love other colours? Lets find out. See colouring in page and teachers notes included.